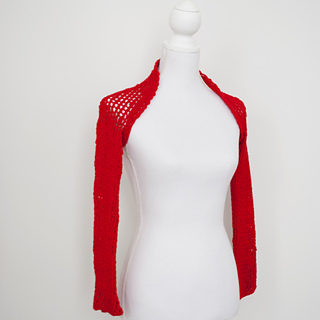 I designed this bolero for my mum, she wanted a light but cosy piece to wear when going out. It’s quite handy and wearable, especially at dinners and social events. 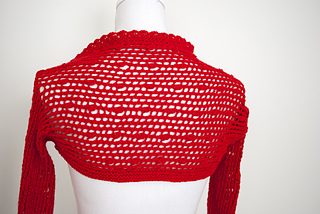 The shrug will have the sleeves worked in round and the body worked back and forth. To make a wrap just work the piece back and forth. 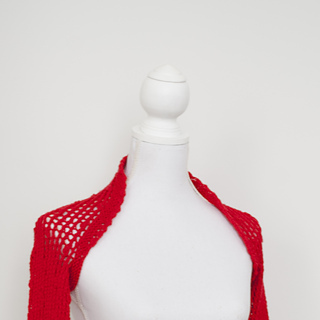 A delicate shell-like edging can be added to the shrug on neck and sleeves and to the wrap all around. The edging is worked in the round by picking stitches.